Click here to see the 2017 Best of Aylmer, Reader's Choice awards results! 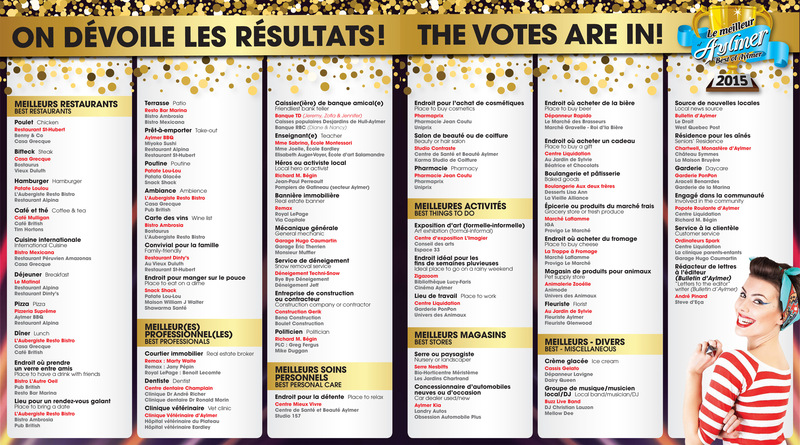 Click here to see the 2016 Best of Aylmer, Reader's Choice awards results! 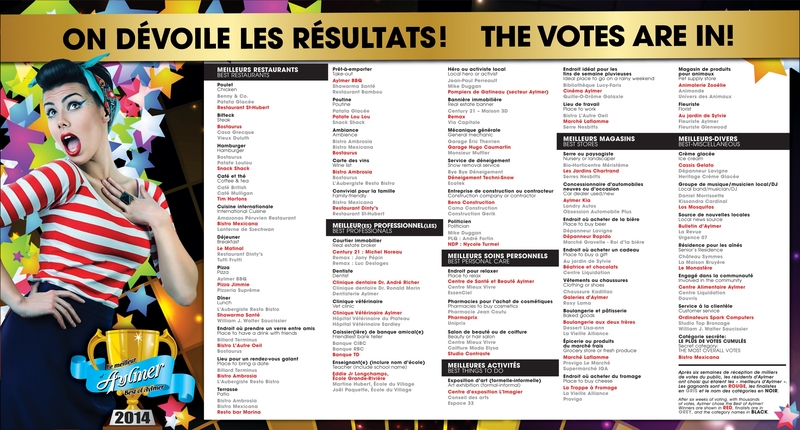 Click here to see the 2015 Best of Aylmer, Reader's Choice awards results! 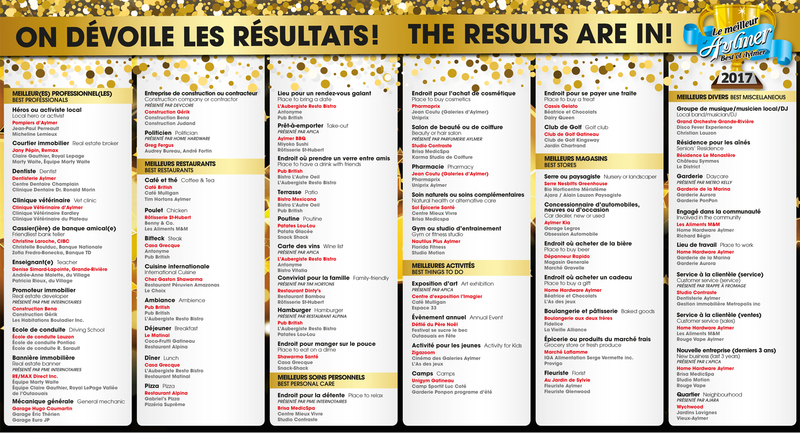 Click here to see the 2014 Best of Aylmer, Reader's Choice awards results!